I just finished viewing Cemetery Stories today. It is truly impressive and remarkably instructive. ".. It is like looking over Cherif's shoulder(literally) to hear and see the ways he is connecting the web of life with the ANC, John Dube and the Wilcoxes." - Richard Crouter, Professor Emeritus, Religion, Carleton College. Cornfields and Tembalihle, two communities in the Midlands of KwaZulu-Natal(South Africa), resisted forced removals from their land for more than 90 years, first under British colonialism and later under Apartheid. Labeled as “black spots” and “informal settlements”, they survived this long ordeal of constant harassment to become the first communities in post-Apartheid South Africa to benefit from the new land dispensation laws. 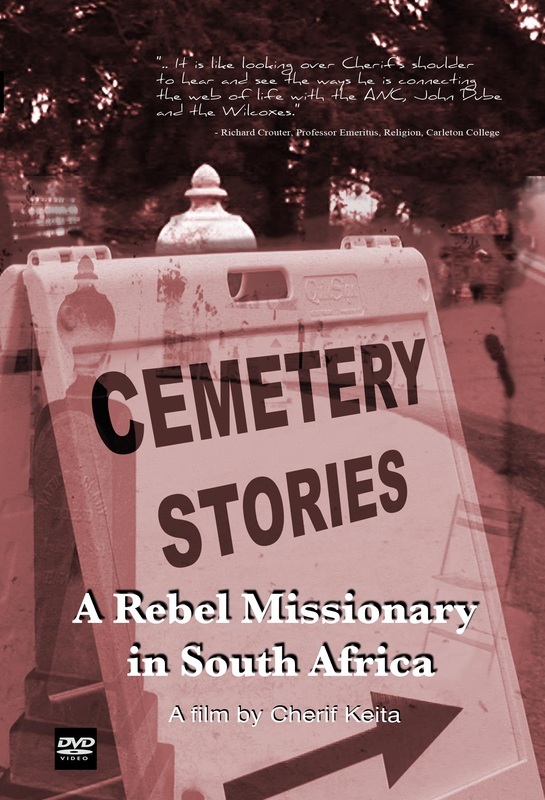 Oral stories said that American missionary William Wilcox had challenged mission policy to establish their twin settlements in 1912 as a bulwark against aggressive colonial land-grabbing schemes. Almost a century after their creation, the two communities are reunited, as they had long wished, with the descendants of William and Ida Belle Wilcox, the rebel missionaries whose radical support for racial equality and social justice had also led them to mentor the future first President of the ANC, John Langalibalele Dube(1871-1946) and to open the doors of US education to many promising black South African youth in the late 19th century. This 2009 film is the second in a trilogy, which began with the award-winning “Oberlin-Inanda: The Life and Times of John L. Dube”(2005), screened twice on South African television and in several countries in Africa, America, Europe and Asia.